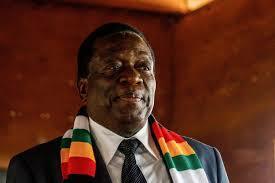 Pressure is mounting on President Emmerson Mnangagwa regarding his planned trip to the World Economic Forum (Wef)’s annual meeting in Davos, Switzerland, next week — amid Zimbabwe’s worsening political crisis, the Daily News can report. “We know where we are heading to… we are committed to the economic success of the country, but along the way there will be reactions from the public and at the end everyone will be happy,” Mutodi told the Daily News. The United Kingdom (UK) minister for Africa Harriet Baldwin on Thursday summoned Zimbabwe’s ambassador to the UK, Christian Katsande, to discuss the growing crisis and “disturbing reports of use of live ammunition, intimidation and excessive force’ against protesters".